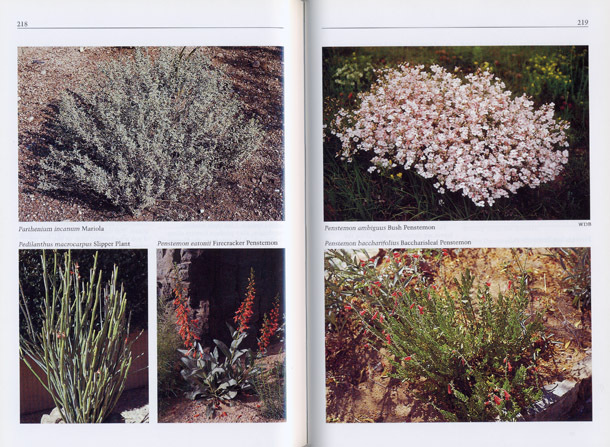 A comprehensive guide to landscaping dry environments with native plants. 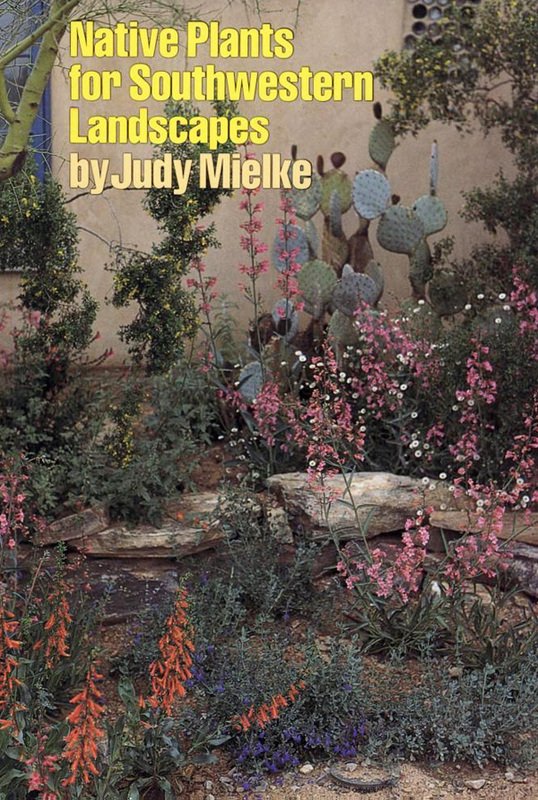 In addition, Mielke includes informative discussions of desert ecology, growing instructions for native plants and wildflowers, and "how-to" ideas for revegetation of disturbed desert areas using native plants. She concludes the book with an extensive list of plants by type, including those that have specific features such as shade or fragrance. She also supplies a list of public gardens that showcase native plants. Native plants have gained in popularity over the past decade, but the amount of information available about growing them hasn't kept pace. This book will help close the gap. It is written in a style easily understood by beginning gardeners, yet it contains enough information to satisfy the needs of landscape professionals, including landscape architects, installation contractors, and maintenance personnel. The first chapter will introduce you to the world of native desert plants. It describes the Mojave, Sonoran, and Chihuahuan deserts, which cover much of the Southwestern United States and Northern Mexico. Emphasis is placed on the plant life, climate, and topographic characteristics of these three deserts. A weather chart presents a detailed picture of the averages and extremes for cities throughout the desert region. 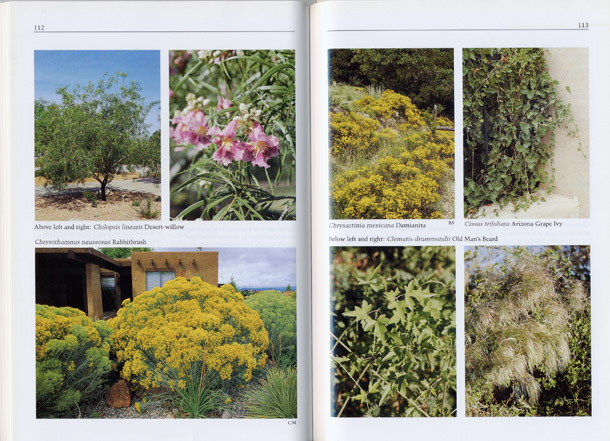 In the chapter on growing native plants, you will learn not only such basics as how large to dig the planting hole and how to get rid of weeds, but also more complicated matters such as developing an irrigation schedule. Sketches of planting, tree staking, and pruning technique accompany the text. Everything you need to know about growing beautiful wildflowers is explained simply in Chapter 3. For those who have an area scarred by construction that they'd like to bring back to its original appearance, the chapter on revegetation will be enlightening. Descriptions of 280 trees, shrubs, vines, grasses, groundcovers, herbaceous perennials, cacti, and other succulents make up the balance of this book. In addition to information on each plant's foliage, flowers, fruits, and mature size, you can learn where the plant comes from—geographic origin, elevation, and specific habitat type. Details of a plant's origin, supplemented by the cultural information given for each species, can give you some clues about how to grow it. Irrigation, soil, light, temperature, and pruning requirements are included in the culture sections. The challenge of putting plants together into a pleasing design is made a little easier by the suggestions for landscape use. Aesthetics are considered, as are functional needs such as visual screening and erosion control. Many of the native plants described have value for attracting wildlife, another aspect of landscape design. Finding a plant for a specific use such as shade or fragrance is a simple task with the lists provided in the first appendix. Because there's no substitute for observing plants "in real life," the second appendix provides a list of gardens that have native plants on display. Whatever your level of knowledge—whether you're a landscape professional or someone who can't tell a cactus from a Creosote Bush— Native Plants for Southwestern Landscapes can be a valuable tool. 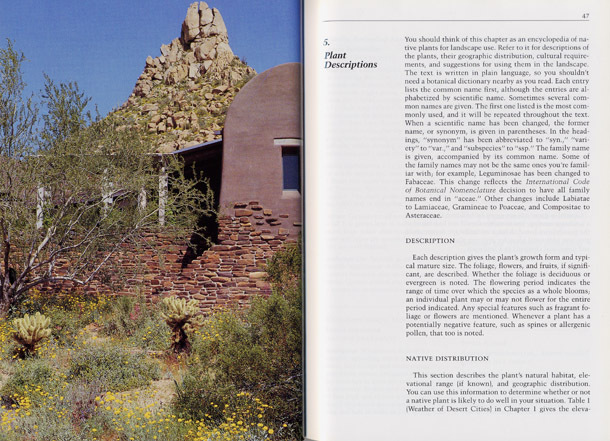 You'll want to read the first few chapters to gain a general understanding of growing native plants, then refer to the individual plant descriptions as necessary while you explore further the fascinating world of native desert plants. An intricate network of slender spiny gray branches gives this large shrub or small tree the appearance of a cloud of smoke. It normally reaches a height of 15 feet and a width of about 10 feet. The small leaves are shed soon after they appear each season. Between April and June, deep violet-blue 1/3-inch-long flowers adorn Smoke Tree and perfume the air nearby. The 1/4-inch pods, which are dotted with amber-colored glands, contain one or two seeds. Smoke Tree rarely grows anywhere other than gravelly or sandy washes. It occurs below 1,500 feet in elevation in southern California and southwestern Arizona, as well as in northern Sonora and on the Baja California peninsula in Mexico. Two critical factors in growing Smoke Tree are coarse, well-drained soil and mild wintertime temperatures. Cold damage can occur below 25°F. Occasional deep watering through the summer is beneficial. This plant prefers a location in full sun. Pruning shouldn't be necessary other than to remove dead branches. Smoke Tree makes a striking accent plant. It would be best featured against a dark wall or a background of deep green foliage. A scene reminiscent of its natural habitat could be created by planting it along a dry wash. The plant is prickly to brush against, so keep it well back from walkways and patios.